You’re not using your phone the same way anymore, and Google knows it. Instead of making a to-do list, sitting down to carefully research, and finally taking action, you’re searching for things in the moment. When you forget how to make a quiche in the kitchen, you look it up in a recipe app on the spot; when you see something interesting on TV, you search for it instantly; when your friend mentions a trip to an unfamiliar country, you’re leafing through images of it as they talk. And when you do, Google wants to be there to help … and serve you ads that it hopes you’ll hate a little less than usual. Google calls them micro-moments, or quick bursts of highly productive activity. We want answers and results fast, no matter where we are or what we’re doing. And we do it all the time. According to new data by the search giant, U.S. smartphone users are making 20 percent more Web visits than a year ago, buying significantly more things online, and somehow doing it all in 18 percent less time. We now want instantaneous answers to spontaneous questions. Anecdotally, this aligns closely with our own experiences. Instead of reading up on subjects like we would have done years ago, we now want instantaneous answers to spontaneous questions. And when we order or purchase things, we’re a lot more likely to do it right from our phones, wherever we may be. And we’re not alone. 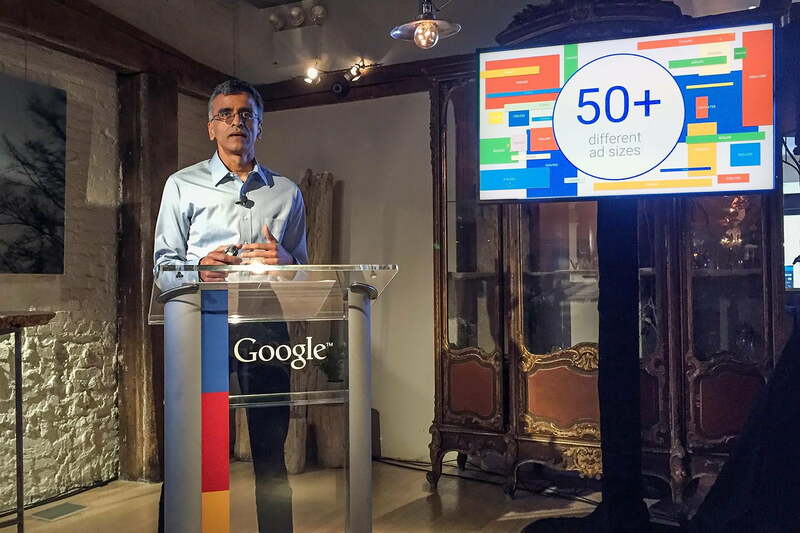 At an event in New York City, Sridhar Ramaswamy, senior vice president of Ads & Commerce at Google, shared results from a Google survey showing that 60 percent of users claim to make purchase decisions more quickly while browsing now, compared to a few years ago. When it comes to location, 39 percent of respondents say they make purchases right from their kitchen, and 28 percent from their car. Ramaswamy was quick to point out that they truly hope those people aren’t driving. But the locations, times, and reasons people are searching get more varied by the day. Smartphone searches now outnumber desktop searches in 10 major markets in the United States, according to Google, and spur-of-the-moment searches for local businesses (80 percent from phones) have increased 34 times over since 2011, and doubled since 2014. Home improvement: Questions about how to do things like unclog the toilet top the most-searched list. First impressions: Unboxing videos and quick snap impressions of products are up 68 percent this year. Product reviews: Reviews (like the ones we make here at DT), are up 50 percent on YouTube, and there are more than 1 million channels dedicated to them. Beauty: Videos of people putting on makeup or preparing to go somewhere have grown 24 percent. Haul videos: Videos where people show off what they just bought at the store are up 47 percent. Sneakers: Finally, videos where people show off their newly bought sneakers are up 72 percent. Google isn’t spouting stats solely for our amusement; it’s using those stats to better serve you with ads. Google makes its money from advertising; that’s why its services are free for us to use. To take advantage of the micro-moment phenomenon it helped create with Android, Google is making ads more actionable — and it hopes, more useful. For instance, if you search for a car, you may soon see a big box that shows high-resolution photos of the car and links to find dealerships and more info about it. When you search for hotels, Google wants to start serving you ads that let you book rooms right from Google (for hotel chains that sign on). Integrated right into business pages on Google Maps, these results have a small designation as an ad, but are almost suspiciously blended into the page, like any other non-ad feature. In testing, integrated, functional “ads” like this are highly effective, according to Google representatives, which could be somewhat because you won’t realize they’re ads at all. YouTube is getting more functional ads, too. 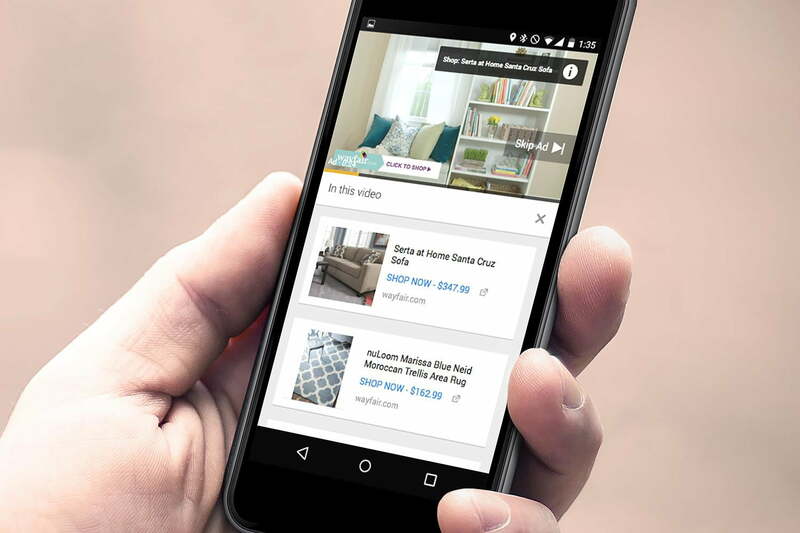 In May, Google unveiled ads that let you purchase items featured in YouTube videos right from the video site. The goal with all these innovations is to get searchers and viewers to act now. When you buy things or click on ads, Google makes money. For example, Google’s recently announced new Photos app is, without a doubt, astounding in several ways. It lets you search through your unlabeled photos for almost anything, but as sites like TechCrunch point out, the app is also a way for Google to scan through your photos to learn more about you. To counter the growing negative privacy sentiments, Google recently launched a privacy dashboard called My Account, which lets you view all of the Google products you’ve opted into over the years. Privacy debates aside, there are pros and cons to these efficiency increases in the ways we search for information. WNYC’s Note to Self podcast recently tackled the idea of smartphone distraction and whether it is causing issues that mirror ADHD, though there’s no hard data on the subject yet. Nevertheless, as we start having more and more micro-moments, we can rest assured that Google is on the job, reliably coming up with new ways to serve us information (and paid ads) at ever increasing speeds.